Looking for affordable roofline maintenance or roofline repairs in Torbay or Devon? Affordable Roofing (Southwest) Ltd offer competitively priced roofline services. We offer comprehensive roofline services cover fascias, soffits and gutters . Our professional and friendly team of roofers offer free quotes and competitive prices. So, if you need guttering, soffit or fascia repairs or replacements in Torquay, Paignton, Torbay, Newton Abbott, Exeter or Devon give us a call. If your fascias are in need of some attention, give us a call. We offer competitively priced fascia repairs, replacements and maintenance services throughout Torbay and the wider Devon areas including Newton Abbott and Exeter. The fascia is an important part of your roofline. It provides a weather resistant protective layer. From time to time due to ageing or weather damage, your fascia will need repairing or replacing. We offer affordable fascia repairs and can source fascia boards that will match the rest of your roofline. If you are looking for affordable soffit repairs or replacements in Torbay, we have the perfect solution for you. We offer affordable soffit repairs and replacements to customers throughout Devon. The soffit is the panel that is tucked under the fascia. They are available as both vented and un-vented options. We can repair your soffits if they have suffered damage. If your soffits need replacing we will most likely recommend uPVC soffit replacement because they are a cost-effective, durable and easy to maintain option. As well as replacing and repairing soffits and fascias, we also provide capping services. This involves fitting a layer of UPVC to the soffit or fascia board. Capping will improve the appearance of your fascias and soffits and also add another layer of weather resistant protection. We can supply capping in a variety of colours to match the exterior of your home. Guttering needs to be in good condition to perform properly. Gutters are designed to channel water away from the home. Poor or broken gutters can cause water to drain down the side of the building which can cause a host of issues including water damage and damp. We offer guttering repairs, replacements and maintenance at affordable prices. 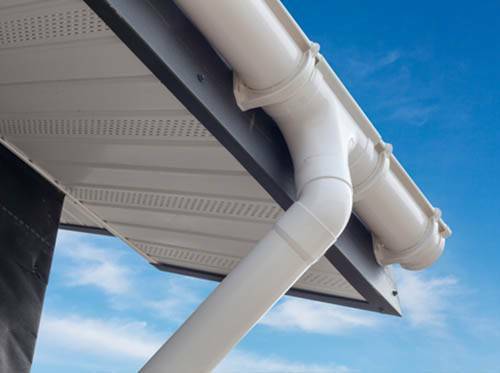 Using the best guttering on available, we can source guttering to match the rest of your gutter system. Why not give us a call for a free quote? 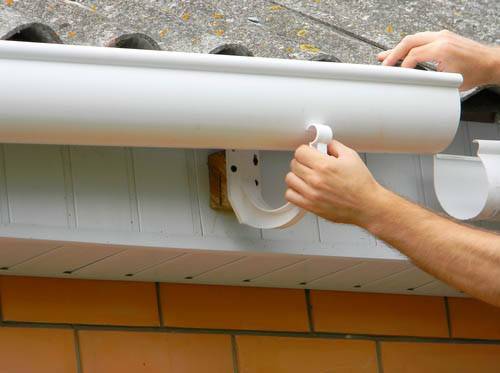 We offer gutter repairs to customers throughout Torbay and Devon at very competitive prices. Do you need guttering, fascia’s and soffits? New timber or downpipes, cladding and bargeboards? Then call us today for a free quote! Whatever colour or size you need, we can guarantee that we have the best guttering, fascia’s and soffits for what you need. Although the most important aspect of a roofline is that it protects your property, the second most important thing is that it is in keeping with your home and its exterior. Therefore, we will make sure that our repairs fit seamlessly in with your house. We also have accessories and fittings to match!